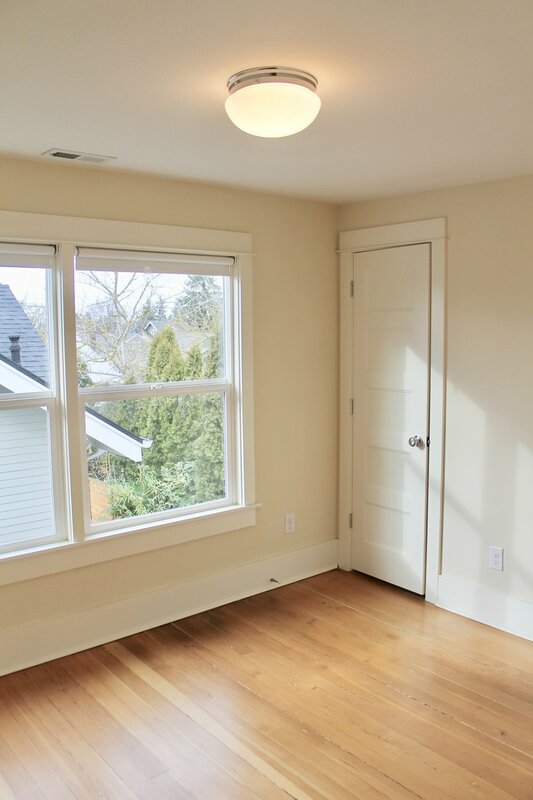 Beautifully updated 1909 Craftsman Style house with 4 Bedrooms / 2 Bathrooms. Open concept kitchen easily flowing into a spacious dining room. Original built-ins, french doors, leaded glass window details. Newer heating/HVAC system, electrical updates, new water heater, stainless steel appliances, new countertops, remodeled bathrooms. Refinished wood floors throughout the entire house along with plenty of storage. Three bedrooms and one bathroom located on the second story, one good size (legal) bedroom in partly finished basement. This location is in the Concordia neighborhood in Portland. Nearby parks include Wilshire City Park, Wilshire Park and Vernon Tank Playground. Only a few blocks to the beautiful and lively Alberta Street and the Alberta Arts District, close to amenities including shopping, dining, and services. Great location to walk to a cup of coffee, grab a bite, and enjoy the many murals that adorn the area. Walking score of 84! (Very Walkable), Bike Score of 99 (Biker's Paradise). Application required for every person over the age of 18. ($40 fee per application).